Taking it back, one more time to when I adorned a Roopkala outfit. I love this time of the year because I get to start shopping with sale all around the corner. I love that in-between time where I can find Indian dresses that have summer silhouettes and a varied colour palette of the fall. 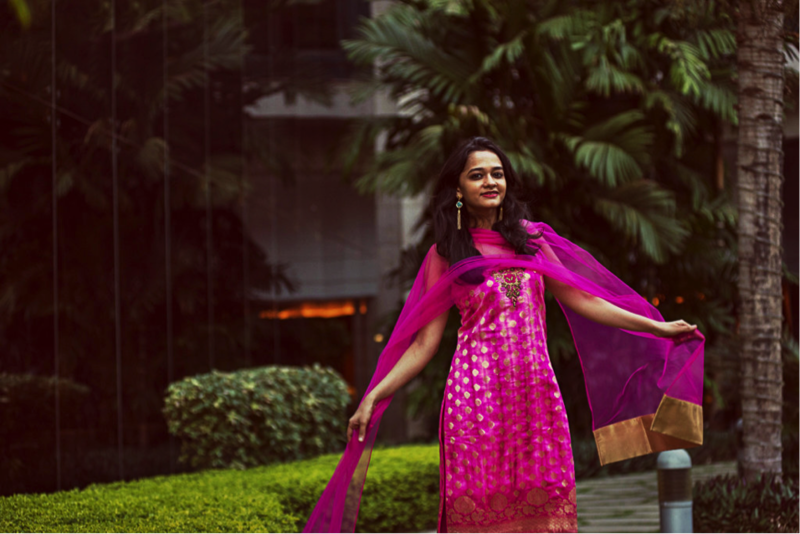 Roopkala Mumbai is my go to shopping destination for all things Indian, so naturally this is the first place I start shopping for weddings and all things Indian. The best part about this bridal store in town is the comfortable fabrics, and prints they have. I tried this outfit from the collection and is such a chic and fun outfit to wear at your best friend’s wedding this season. Go for a unique outfit like this one, pair a stylish clutch with embedded crystals on it and add a little fun with your accessories. You really can’t go wrong with shades of pink. It’s my favourite shade – it adds a pop to your outfit and is so classic. 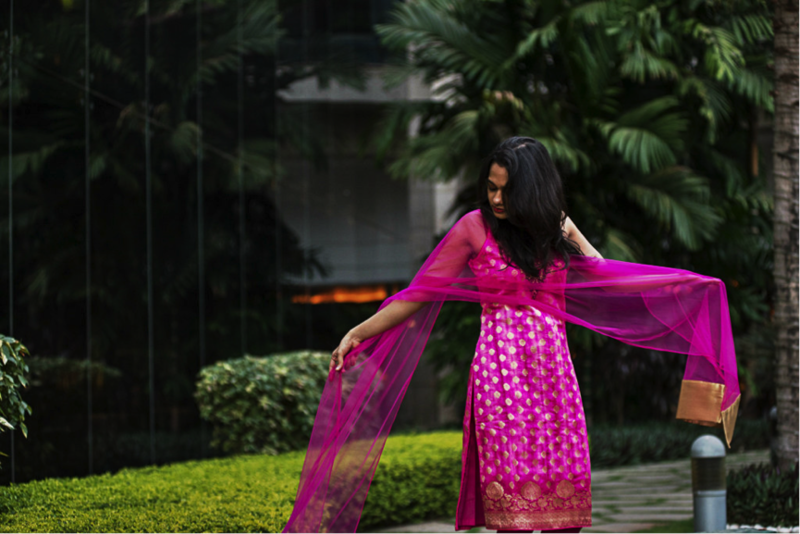 I have tons of pink Indian outfits, but it’s the simplicity of this one that makes it my favourite. It’s an ideal outfit for festive events when you need something carefree and casual, but still dressy. 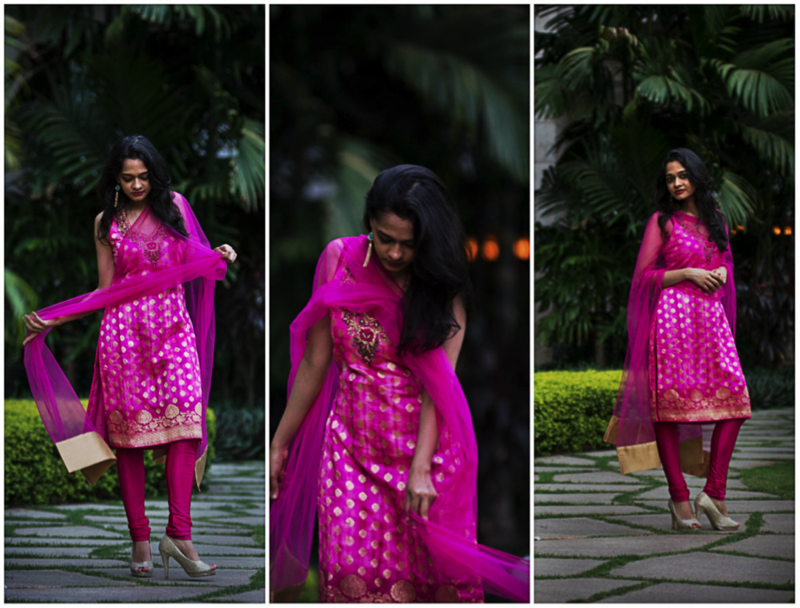 Having a go-to brand for heels is the best way to make Indian dressing easy, which is why I love TresMode. They are so comfy and come in classic shades that would complement all outfits. Browse through the website www.roopkalasarees.com and I would love to know what’s your favourite piece to adorn this wedding season.